Fad diets have been around for a long time and each one has come and gone leaving people unsatisfied. A fad diet consists of an eccentric or different way of eating, usually by focusing on one food group or ingredient for the bulk of meals. While fad diets and many of their followers swear by their effectiveness, fad diets can actually be very dangerous. Even if you follow a fad diet and lose some weight, the weight loss does not stay and more than likely, the process to lose that weight was done in an unhealthy manner. Fad diets do not work for many reasons and should be left alone; if you want to diet, eating healthy and regular exercise is the best place to start. For the most part, there is no exercise routine linked to a fad diet. A fad diet usually comes with the mindset of “get fit quick”. While eating healthy is a big part of losing weight or generally staying fit, exercise is crucial too. Just because you are eating fruits and veggies every day does not mean your body would not benefit from some cardio. When you follow a fad diet, you are basically eating one type of food for a few months while remaining sedentary. Even for the healthy eaters being sedentary is not good for you. It is important that you get daily exercise into your schedule, even if that means taking the stairs instead of the elevator or walking your dog around the block. As stated above, many fad diets rely on one or two food groups for the bulk of the meals you will be eating. If you are eating one food for an entire month, for example, your diet is devoid of all other nutrients, vitamins, and minerals necessary for proper nutrition besides the few that are found in the fad diet. This is incredibly unhealthy and can actually make you worse off. Every meal you eat should be balanced with protein, fruits and veggies, and grains. If you do not get at least one serving a day of all of these food groups, you are not keeping your body healthy. Unlike eating healthy every day, a fad diet usually only lasts for a few weeks or months. Within these few weeks, a fad diet claims that you are expected to get healthier and drop weight. If you lose weight at all on a fad diet, it will be because of poor nutrition not because you are getting all the right food groups into your diet. The biggest element of a fad diet is usually about the quick fix, which implies that anyone can lose a certain amount of weight in just a few weeks. Learn more about realistic weight loss goals here. Couple that with no exercise plan and you are better off not dieting at all. Fad diets are just that: fads. 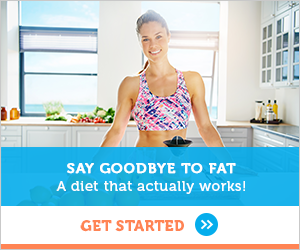 They have no science behind them and there is definitely no doctor or nutritionist who has proven that eating one type of food for a month can help you lose weight or get healthy. If you want a diet that is proven to help you get healthy and stay healthy, visit your nutritionist or doctor and ask them what they recommend for your goals. Sometimes fad diets ask you to take out one or more food groups instead of adding more of one food to your diet. This is incredibly limiting and usually, the food group the fad diet insists you cut out is actually necessary for daily nutrition. If you are not taking a multivitamin or getting these nutrients from somewhere else, you could be cutting out something important to bone health, your heart, or brain function. Before you start following a fad diet, look into finding a healthier alternative. Remember that regular exercise is just as important as daily nutrition. A balanced diet should consist of all basic food groups in order to promote healthy living.